Welcome to my art portfolio! Please have a look around. You can use the links on the side, the arrow keys, or swiping on your phone to navigate. A music visualizer for the song Walk on Water by 30sec to Mars. It features a set of curves that act like a basic spectrum analyzer with internal glowing animations that are keyframed by hand. Made with Blender and the Animation Nodes add-on. 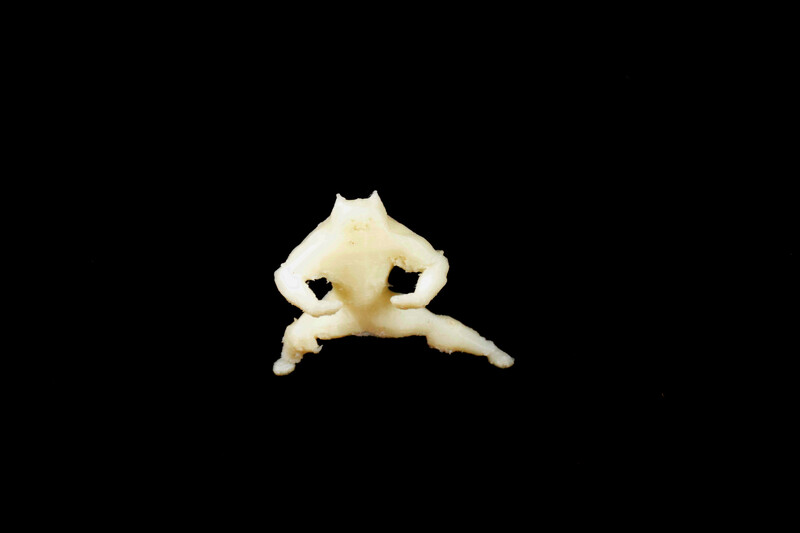 A 3D printed sculpture of a really buff cat posing for a Design II project. 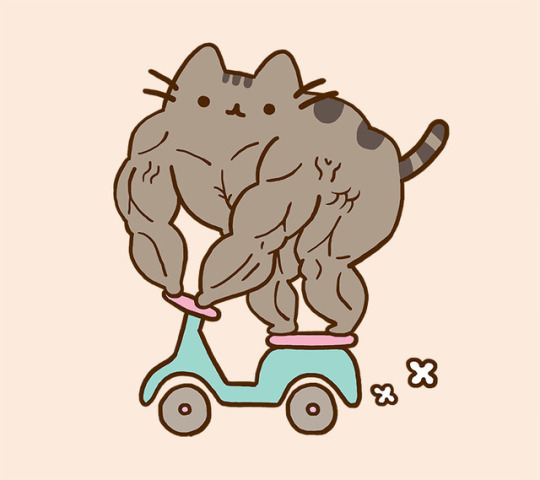 Inspired by Shen's Swole Pusheen. Made out of PLA plastic, designed in Blender. 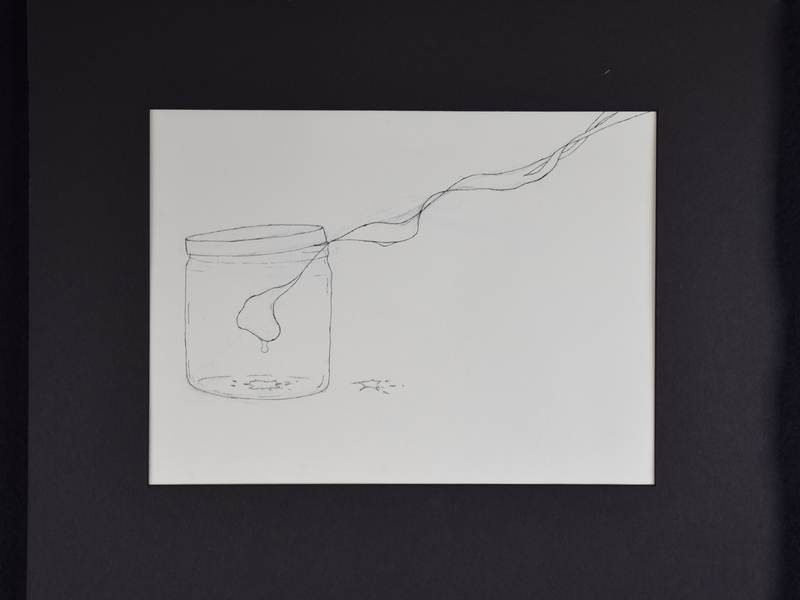 A drawing of an smoky ink slowly winding its way out of a jar and out of frame. One of the first visualizers I made. A small group of expressive cubes that each hook into a frequency of music to bounce around the scene. 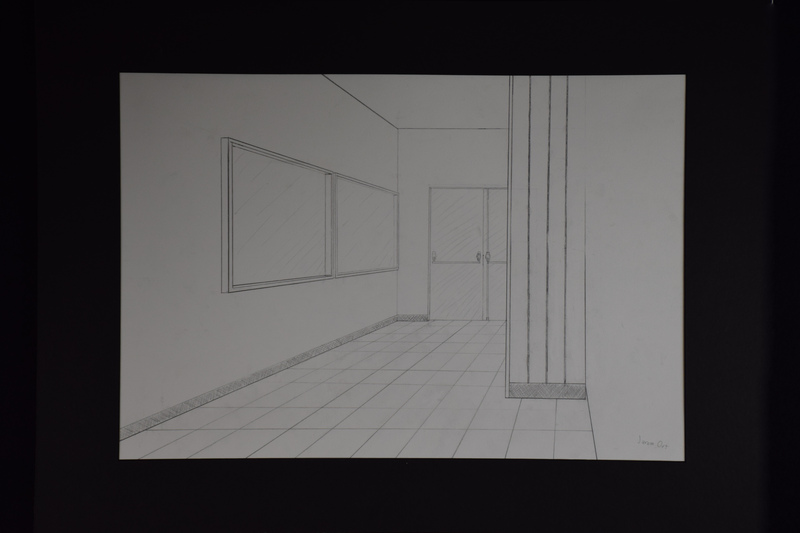 A one point perspective drawing of a hallway in the Fine Arts building of Dodge City Community College. 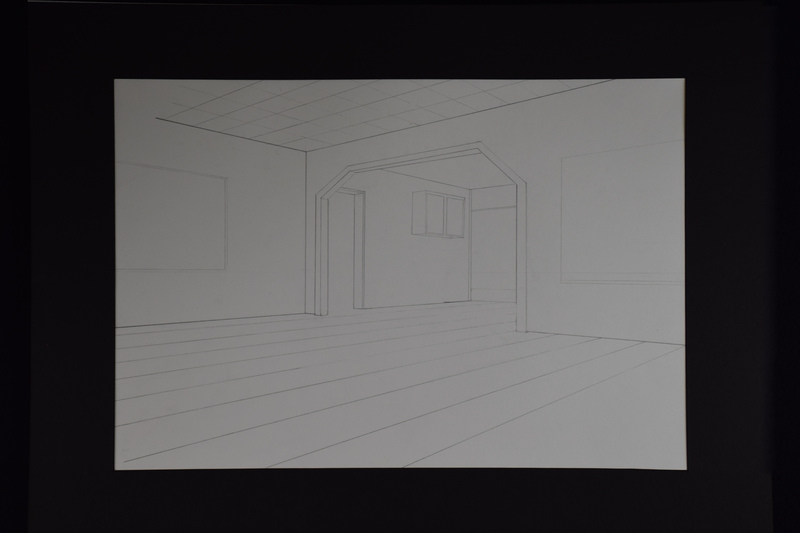 An exercise in two point perspective. Depicts the painting room in the Fine Arts building of Dodge City Community College. Musical bars flow in a relentless stream from the center of the image in this exercise in conceptualism. A cardboard self portrait, blown up at 2-3x size. It was spit into individual planes that were cut out and assembled with a startling amount of hot glue. 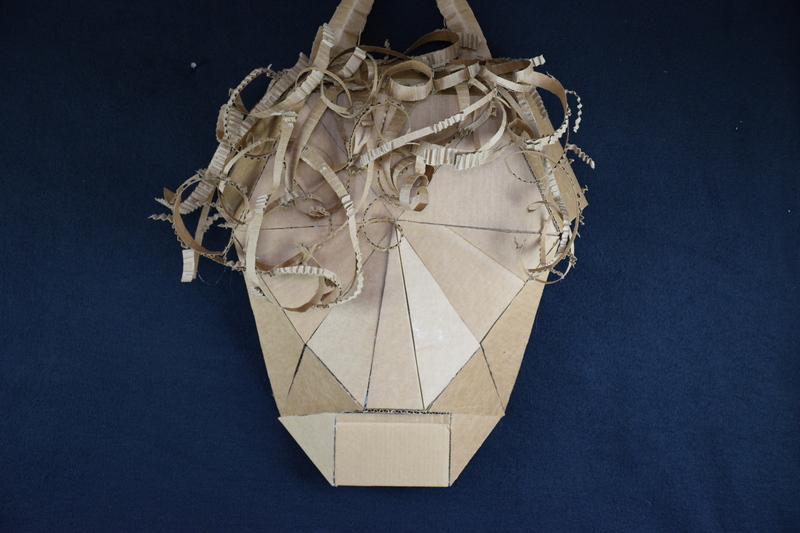 Made from a 50/50 blend of cardboard and hot glue. One of the most recent visualizers I've made, it features a physical simulation driven by music. Jarom Ort was born in 1996 in the heart of Kansas City, Missouri. He took a lot of artsy classes through primary school and is earning an Associate of Arts degree at Dodge City Community College. His primary focus is in the fusion of the visual and musical arts and these are available on YouTube and Vimeo. 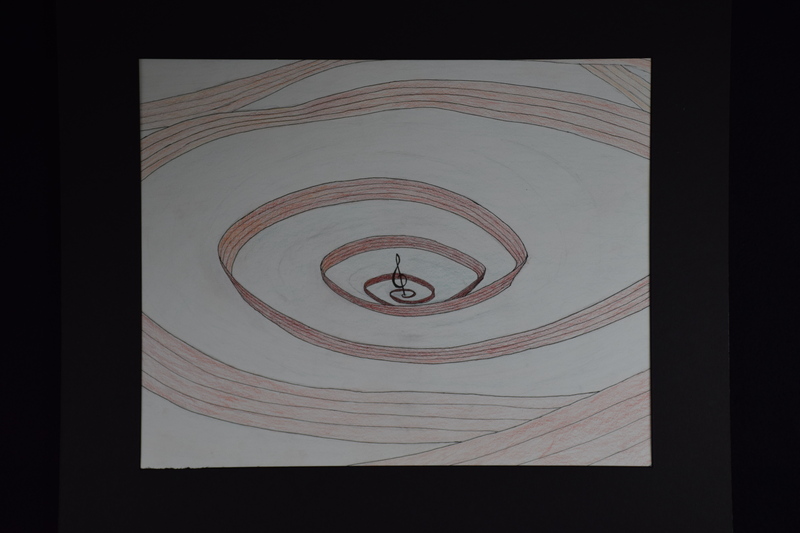 His other art, drawings and sculptures blending reality with fantasy (do I sound pretentious enough yet), has been featured in the Dodge City Community College Annual Art Show and has also been seen on display at the Grassroots Art Center in Lucas, KS for their Weirdy Art exhibit. He is currently continuing his art education and finishing up his degree with the art program at Dodge City Community College, available now for only $43 per credit hour. My physical art tries to bridge the gap between precisely recreating reality and impossible fantastical designs. My music visualizers blend our two most powerful senses, sight and sound. Sight is by far the most dominant of our senses. The power to see is the power to be able to almost reach out and touch the entire world around us all at once. Music can instantly connect people across huge distances and staggering amounts of time. Music has a direct and powerful effect on our emotions. It's a universal language that every human that ever is, was, or will exist speaks. Almost nothing else has such a direct shot straight to the heart as music. Music can even impact our physical health. It makes sense that fusing our two most powerful senses could create an even more enjoyable and powerful experience.